Photo: Denise Applewhite. Copyright: Princeton University. 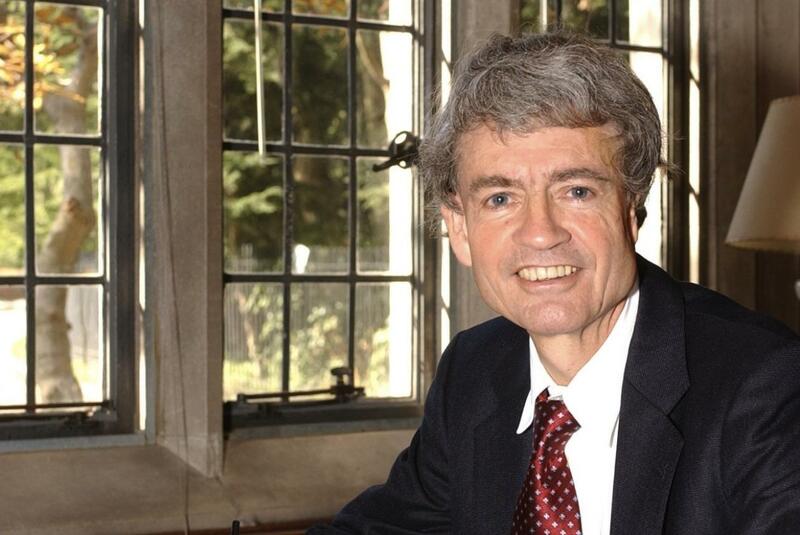 Michael Cook is one of today’s leading experts on the history and religious thought of Islam. He has reshaped fields that span Ottoman studies, the genesis of early Islamic polity, the history of the Wahhabiyya movement, and Islamic law, ethics, and theology. His contribution to the entire field, from Islam’s genesis to the present, displays a mastery of textual, economic, and social approaches. Along with sensitivity to the historical context, his work emphasizes the role of religious values in the formation of Islamic civilization from the mediaeval period to the present. In his first book, Population Pressure in Rural Anatolia, 1450-1600 (1972), Cook used newly available Ottoman archival records to test Fernand Braudel’s ideas about the Ottoman Empire in the sixteenth century. In Hagarism: The Making of the Islamic World (1977), Cook and Patricia Crone challenged the prevalent scholarly view of the rise of Islam, placing new emphasis on contemporary non-Muslim accounts. Although their central hypothesis remains controversial, their methodology and the questions they raised have transformed the historical study of Islam. Cook´s third book, Early Muslim Dogma: A Source-Critical Study (1981) is widely regarded as a pioneering work for the philological study of early Islamic texts, situating Islamic theology in the wider context of Christian debate at the time. His major contribution, Commanding Right and Forbidding Wrong in Islamic Thought (2000), draws on extensive legal, literary, theological, and philosophical texts from the mediaeval to the modern period in Arabic, Persian, and Turkish. It explores the interaction between morality and authority in Islam, examining how different strands of Muslim thought regarded the duty to speak out against transgression. The result is a new perspective on the history of Islamic law, ethics, and theology. His two books, Muhammad (1983) and The Koran: A Very Short Introduction (2000), gave a fresh account for both specialist and non-specialist readers of the wider cultural and religious milieu from which Islam, its Prophet, and the Koran emerged. He has also written articles about the genesis and early development of Wahhabism in Central Arabia that are indispensable for our understanding of the origins of an important Muslim reformist movement. Cook’s most recent book, Ancient Religions, Modern Politics: The Islamic Case in Comparative Perspective (2014) takes a comparative approach to modern fundamentalism and the political role of religion in Islam, Hinduism, and Christianity. Michael Cook's scholarship is marked by a keen sense of Islam as a living moral and legal tradition. He has demonstrated how this rich and complex body of thought provides resources for understanding important contemporary issues and reveals new perspectives on the relationship between religion, politics, and law.